This drill-powered model is definitely very unusual. The C.H. 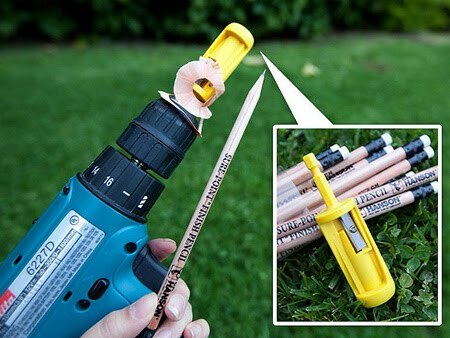 Hanson Pro-Sharp Finishing Pencil Carpenter claimed to be world's first chuckable drill powered pencil sharpener.